// eCAADe2018 in Łódź has ended. It was a blast! Click for more! // Sebastian Białkowski won prestigious Ivan Petrovic eCAADe 2018 Award for the Best Presentation by a Young Researcher with his paper "Topology Optimization Influence on Architectural Design Process". A huge CONGRATULATIONS! // Ádám Tamás Kovács won the Bentley Systems supported eCAADe 2018 Award for Best Presentation for his paper "Building Information Dashboard as Decision Support During Design Phase". A huge CONGRATULATIONS! Natural disasters and climate change, crime and terrorism, disabilities and society ageing - architects, designers and scientists active in the built environment domain are not able to eliminate all the risk, dangers and problems of contemporary world. On the other hand, they have social and moral responsibilities to address human needs and take up this multifaceted challenge. It involves a co-operation and, moreover, an interdisciplinary and user-oriented approach. The complexity of raised problems should not discourage us, on the contrary, it should stimulate activities towards living up to human dreams of a better and sustainable tomorrow. Do we really take the most of the abundance of accumulated knowledge? Or we skip to explore another undiscovered domains? Born 1957, educated in Poland and Japan (MA degree in 1982, doctorate in 1987, habilitation in 2014), started his career in Tokyo (1984-5) and New York (1986) where he worked in the office of Arata Isozaki and J.S. Polschek & Partners respectively. Professor at the Faculty of Architecture and Fine Arts, AFM Krakow University. The president of Ingarden & Ewý Architects. Architect. Graduated Faculty of Architecture, Krakow Polytechnics in 1982, doctorate in 1987, habilitation in 2014. Between 1983-1985 doctorate internship in the School of Art & Design, University of Tsukuba, Japan; between 1984-5 worked in the office of Arata Isozaki, Tokyo; 1987 - in J.S. Polschek & Partners, New York. Co-founder and President of Board of JET Atelier office (1991) and Ingarden & Ewy Architects (since 1998). In the years 2003-2014 associate professor, since July 2014 professor at A.F.M. Krakow University, teaches architectural design at the Faculty of Architecture and Fine Arts (deputy dean in the years 2003-2011; dean since 10-2017). In the years 2010 – 2013 visiting external examiner at the Faculty of Architecture, Dundee University, Dundee, UK. Since 2002 - General Honorary Consul of Japan in Krakow, since 2015 member of Polish Academy of Arts and Sciences. In the year 2009 received the prestigious Honorary Award of Polish Architects Association. Winner of architectural awards in Poland and abroad. For the design of the Polish Pavilion at EXPO 2005 Aichi, Japan, was awarded the Gold Cross of Merit, in the year 2015 awarded Gloria Artis Medal for the Europe Far East Gallery in Krakow. Author of numerous projects, among other: ICE Krakow Congress Centre (2014),The Małopolska Garden of Arts (2012), Wyspianski 2000 Pavilion in Krakow (2007), Polish Pavilion EXPO 2005 Aichi, Japan, (2005), Japanese Language School by Manggha Museum, Krakow (2004), Pontifical University Library in Krakow (with J.Ewy), Polish Embassy in Tokyo (2001). Curator of exhibitions: “Localized Modernism. Contemporary Chinese Architecture”, Krakow 2017; “Poland” – UIA Congress 2011, Tokyo, Japan; “Polish Architects for Japan” – Polish Architects Association, Warsaw 2011; “Arata Isozaki – Sketches and Drawings” – Manggha Museum, Krakow, 2009; “3-2-1 New Architecture in Japan and Poland”, Krakow 2004. Tom studied architecture and structural engineering at the Vrije Universiteit Brussel in Brussels, Belgium, where he received his PhD in 2008 for a dissertation on the design and analysis of retractable membrane roofs. In 2010, Tom joined the Block Research Group, where his technical and computational developments have formed the backbone of the day-to-day research and of multiple flagship projects, including the Droneport and the Armadillo Vault, both presented at the 2016 Architecture Biennale in Venice, and the NEST HiLo roof prototype completed in the Robotc Fabrication Lab in 2017. Tom is currently co-director and head of research of the BRG, and lead developer of COMPAS, an open-source computational framework for research and collaboration in Architecture and Structures. 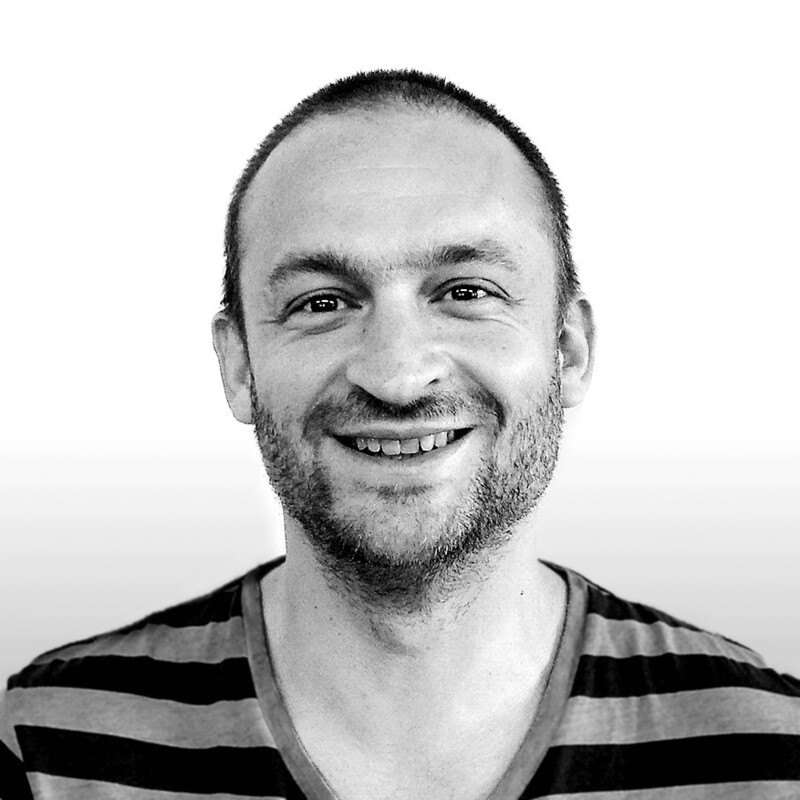 Harlen Miller is an Associate Designer and practicing Architect at UNStudio’s Amsterdam office. He is the Lead Coordinator of UNStudio’s Computational Knowledge Platform which develops digital strategies and customized tools for rationalizing complex geometry and building systems through computational, parametric and BIM modeling workflows. Harlen joined UNS in 2012 after moving from Los Angeles where his design background was cultivated in film, narrative arts, and high-concept futurist thinking. Antje Kunze is a Solution Manager for BIM and Smart Cities at Esri Germany. She is focusing on what is needed to build smart, livable, and resilient communities and how innovative technology supports collaborative planning and decision making across scales and disciplines. Previously she was a co-founder and CEO of the ETH-Spin-off CloudCities, an online platform for publishing interactive 3D city models, and a researcher at the Chair of Information Architecture at ETH Zurich. Besides her degree in architecture Antje has a background in computer science with a strong focus on urban modeling and simulation, participatory planning and information visualization. We invite academicians, researchers, professionals and students to address the multifaceted notions of using computing in architectural practice for developing a better tomorrow. Approaches discussing the theme from the perspective of computer aided design education; design processes and methods; design tool developments; and novel design applications, as well as real world experiments and case studies are welcomed. The complexity of raised problems should not discourage us, on the contrary, it should stimulate activities towards living up to human dreams of better tomorrow. The eCAADe 2018 Organizing Committee would like to invite researchers, professionals, designers and industry practitioners to propose and organize interesting workshops to build up an intense participation and an insight discussion with small groups of eCAADe participants. Workshop chairs have an opportunity to share their original research and practical development experiences on specific new challenges and emerging issues of architectural and design computing in a broad sense. Workshops should offer participants possibilities of theoretical and hands¬-on experiences on defined research/practice topics. Therefore we are particular encouraging workshop proposals beyond pure software tutorials. We also encourage workshops that could generate an outcome which would be presented in a session on the last day of the conference. The workshops will be held on the 17th – 18th September 2018 at the Conference Venue. *In order to lead or participate in eCAADe Workshop one has to be registered to the Conference and pay the fee. Registration types that allowed aforementioned: Early-Normal, Normal, Early-Reduced, Reduced. Choose the workshop from the list and hit the button to register! Please, do not register for workshops that overlap!!! Non-manifold topology (NMT) allows the user to construct light-weight conceptual spatial architectural models which define the overall enclosure and the internal cellular division within that enclosure. The objective of this workshop is to give participants hands-on opportunities with a new software library that we have been developing under a research grant from the Leverhulme Trust. On the first day, the concepts of non-manifold topology will be introduced, including non-regular modelling operations. On the second day, we will introduce two plug-ins, which have been interfaced to our NMT tools: a) building energy simulation using OpenStudio and EnergyPlus and b) structural analysis software. Parametric Dynamo definitions, Non-manifold 3D models and building performance analysis visuals. Basic knowledge of Dynamo, Knowledge and interest in building performance simulation including energy analysis (OpenStudio/EnergyPlus) and/or structural analysis (Autodesk Robot). Modern Windows 10 64bit PC Laptop with Dynamo installed. 3 GB available storage space for software installation. Wassim Jabi is Reader of Computational Methods in Architecture at the Welsh School of Architecture, Cardiff University. His current research into non-manifold topology, parametric design, building performance simulation, and robotic fabrication in architecture is supported by the Leverhulme Trust and EPSRC. Dr. Jabi has written extensively on architectural computation including the recent book "Parametric Design for Architecture", published by Laurence King Publishing. He is a former president of ACADIA and a member of the editorial board of the International Journal of Architectural Computing (IJAC). He studied architecture at the American University of Beirut and his M.Arch. and Ph.D. are from the University of Michigan. Robert Aish is Visiting Professor of Design Computation at the Bartlett School of Architecture, where his research into the use of non-manifold topology to represent architectural space is supported by the Leverhulme Trust. Previously he was Director of Research at Bentley where he led the development of GenerativeComponents and Director of Software Development at Autodesk where he led the development of DesignScript. He is also a cofounder of the SmartGeometry group. He studied Industrial Design at the Royal College of Art and has a PhD in Human Computer Interaction from the University of Essex. The aim of this workshop is to introduce the participants to the co-design approach using a Social VR system. The Hyve-3D affords simultaneous multi-user co-design (local and remote) using 3D sketches and imported 3D textured geometries, photogrammetry models and point-clouds. Participants will be trained to use the suitable representational ecosystem, the verbal protocols specific for co-design and to knowledge construction activities (KCA). The goal of this workshop is to initiate participants coming from different backgrounds to the approach of co-design in a multidisciplinary and collaborative context. The idea is to prepare the participants to actively support co-design activities through the appropriate Representational Ecosystem (Dorta et al. 2016; Dorta et al. 2014) including traditional tools as physical models and freehand sketches combined to digital hybrid immersive techniques via Hyve-3D (Hybrid Virtual Environment 3D). The workshop will utilize the "Knowledge Construction Activities" (KCAs) model to assess the representation's effectiveness for early ideation processes (Sopher et al., 2017). During the workshop, all the participants of the given project will use the Design Conversations technique (Dorta et al. 2011): the verbal protocols of this particular kind of collaborative design. This will allow them to gain awareness of the emergence of collective creative ideas, therefore learning the co-creative steps underlying better performance of the co-design process. Participants will engage collaboratively to propose creative and innovative solutions. These ad-hoc projects will be realized in immersion, locally and remotely, through interconnected Hyve-3D systems (internationally). The participants will experience the way design decisions emerge and evolve upon and throughout different representations, while able to methodically construct and analyse outcoming situated design flows. The workshop's final outcomes will be available for presentation with the goal to further discuss during the conference. Hyve-3D is a multiuser Social VR system allowing 3D sketch creation and high interactive fidelity with 3D models inside a hybrid immersive virtual environment (Dorta, et al. 2016; 2015; 2014). The innovative visualization technique uses a non-intrusive anamorphic image projected on a spherical concave screen. This open fabric screen permits enough space in order to accept many people at once ensuring the needed communication among users. In addition, the 3D cursor technology of Hyve-3D facilitates local and remote collaboration. Using a handheld tablet, users interact with the virtual environment by moving the device and using well-known multi-touch gestures. Every user has a dedicated 3D cursor, enabling for an intuitive navigation of the virtual environment via the 3D track pad. Users will be able to go back and forth from the vectors (.dxf) of their 3D sketches to the CAD software of their choice, detailing their projects and importing them back into Hyve-3D (wavefront .obj textures files) for further co-design work. Several interactive VR projects co-designed directly in immersion (life-sized and real time) by the participants (locally and remotely-internationaly), including 3D sketches, 3D models and photogrammetric models of the context of the projects (a location in Lodz to be decided). No particular skills or experience in design are essential as the proposed activity aims to foster the potential of a more open ideation process shared collaboratively by different multidisciplinary stakeholders engaged in actual projects using a representational ecosystem. Participants are encouraged to bring their personal laptops with any 3D modeller software of choice pre-installed, which can export .obj files (including the material file .mtl) and import .dxf files. 1. Co-design rationale sessions in groups (up to 4 groups of 2-3 participants) learning about the representational ecosystem with traditional tools, the design conversations and the KCA assessment model. 2. Hyve-3D: Introduction and training sessions. Co-design in immersion. 1. Hyve-3D: International remote co-design. 2.Refinement of concepts in CAD/photogrammetric models and export/import into Hyve-3D for iterative co-design cycles. 3. Interconnection with Montreal collaborators/jury for final revisions and open-access presentations. Tomás Dorta has a background as a practitioner architect and designer. 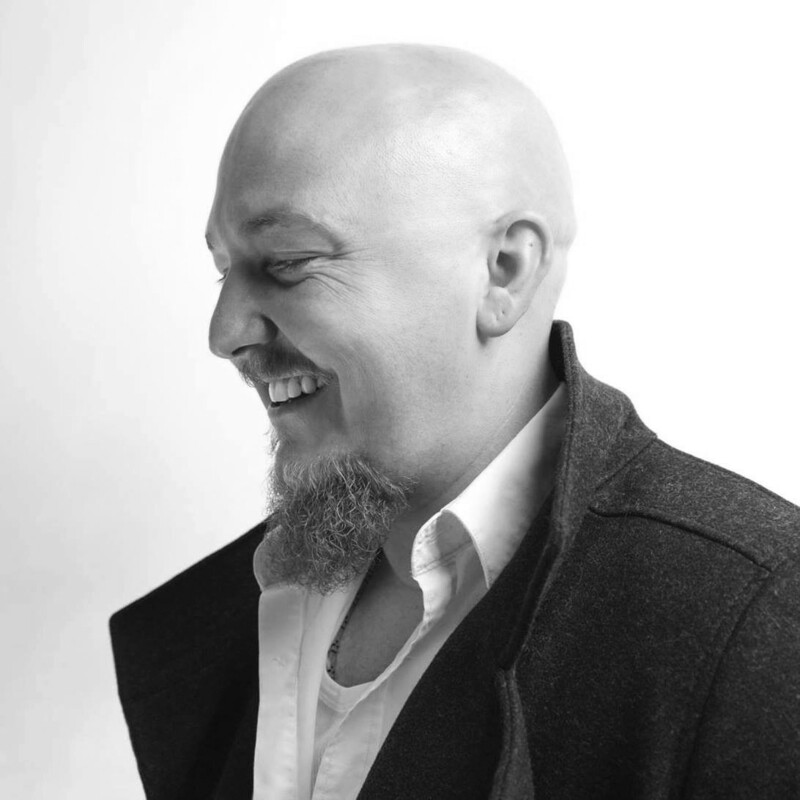 His research interests include the design process and co-design using new technologies and the development of new techniques and devices of design in the virtual realm. He obtained his Ph.D. (2001), studying the impact of virtual reality as a visualization tool into the design process. His research has been extensively funded by Canadian's federal and provincial research grant institutes and published and presented in several international scientific conferences as well as scientific journals. As a design educator, Tomás Dorta joined the School of Design of University of Montreal in 2003 where he is now full professor. Tomás Dorta is the director of the Design research laboratory Hybridlab. Hadas is a PhD candidate at the faculty of Architecture and Town Planning, Technion, Israel, under the supervision of Yehuda E. Kalay. Hadas's research proposes a framework to assess the impact of traditional and immersive learning environments on design processes of the architectural Studio. Hadas won the Guthweirth fellowship (2016) and the Jacobs fellowship (2017). The research is kindly supported by the European Research Council grant (FP7 ADG 340753). Emmanuel is currently a master’s student in the Design and Complexity program at the University of Montreal and is working under the direction of Tomás Dorta at Hybridlab. Emmanuel’s research focuses on immersive virtual environments and the perception of architectural scenes transposed using accessible digital technologies for a contextualized ideation. Coming from a background in graphic design, his projects are driven by a deep interest for the implications of novel forms of mediatic documentation. During this one-day-workshop you are introduced to methods for the synthesis of urban morphology, you learn how to analyze street networks effectively, and we show you how to compare the generated designs systematically. For this purpose we use Grasshopper for Rhino3D with the plugin DecodingSpaces-Toolbox, and a new Design-Space-Exploration tool. The methods are demonstrated by realistic case studies in an existing urban environments. In this workshop, you will learn how to generate urban fabric variants, perform quantitative analysis on it, as well as optimize the generated variants and expore the cooresponding solution space. For this purpose you will be introduced to various components from the DeCodingSpaces Toolbox for Rhino/GH. You will learn how to analyse Street Networks effectively to compute real life phenomena such as the distribution of functions in a city or the movement patterns of citizens. Moreover, you will be introduced to the various methods for the synthesis of urban morphology (street networks, plots, and buildings) and how they connect to the analysis methods. Finally, you will also be introduced to design space exploration tool for beeing able to compare the generated solution systematically. The presented DeCodingSpaces-Toolbox for Grasshopper is a collection of analytical and generative components for algorithmic architectural and urban planning. The toolbox is free software released by the Computational Planning Group (CPlan). It integrates established urban analysis methods, extends them with new features and introduces new methods for the analysis and synthesis of urban morphology. In the first part of the workshop, you will learn to use the street network analysis components and how the computed quantities relate to real life phenomena such as the distribution of functions in a city or the movement patterns of citizens. In the second part, we will implement a dynamic urban simulation in Grasshopper. For this purpose, we will use the results from the network analysis and compute local attractivity values for different urban functions like the population or workplaces, which interact with each other based on the corresponding distances. In the third part, we will demonstrate functions of the DeCodingSpaces-Toolbox for the synthesis of urban morphology (street networks, plots, and buildings), which is directly connected to the analysis and the simulation parts. In the last part, we use a Design-Space-Exploration tool (DSE) that presents the generated solutions in various ways. 1. Learning about spatial analysis methods. 2. Understanding the synthesis of urban morphology (street networks, plots, and buildings) that is directly connected with the urban analysis and simulation. 3. Direct feedback from professionals on the DeCodingSpaces-Toolbox, for further realistic developments. Reinhard is Professor for Computational Architecture at Bauhaus-University Weimar and a Principal Scientist at the Smart and Resilient Cities competence unit at the Austrian Institute of Technology (AIT) in Vienna. In addition, he acts as Co-PI in the Big Data Informed Urban Design and Governance group at the Future Cities Laboratory at the Singapore ETH Centre. 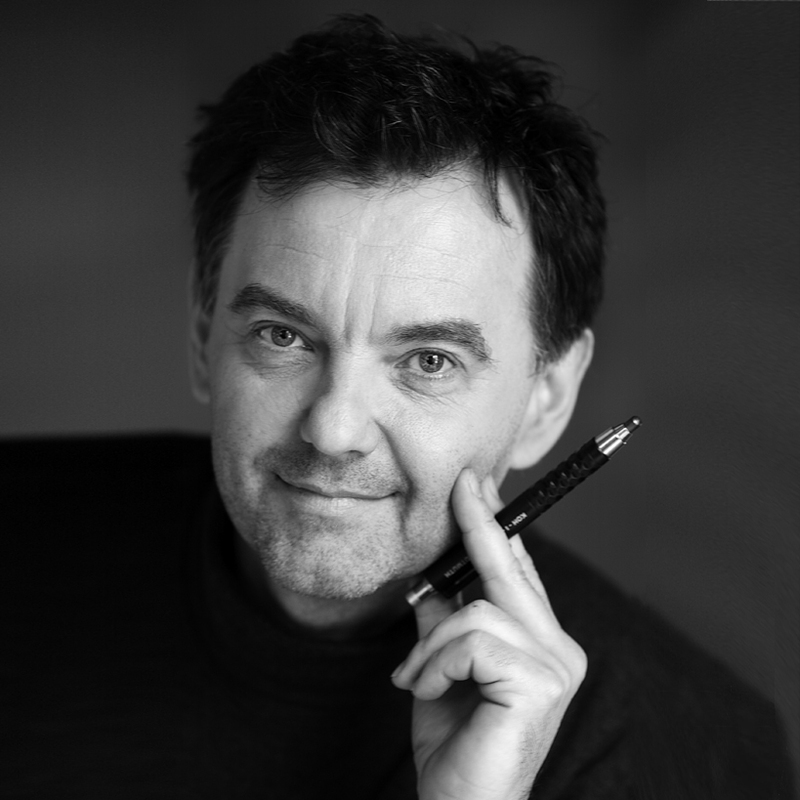 After studying architecture and urban planning in Munich and Kaiserslautern Reinhard König completed his PhD thesis in 2009 at the University of Karlsruhe. From 2007 - 2012 Reinhard worked as a research assistant and appointed Interim Professor of the Chair for Computer Science in Architecture at Bauhaus-University Weimar. From 2013 - 2016 Reinhard König worked as senior researcher at the Chair of Information Architecture, ETH Zurich. In 2014 Reinhard was guest professor at the Technical University Munich. Martin is a research assistant at the Chair of Computer Science in Architecture at the Bauhaus-University Weimar in Germany and co-founder of the DecodingSpaces GbR. He graduated in architecture and urban planning in 2011 at the Faculty of Architecture, Slovak University of Technology. Since 2012, he worked at the Bauhaus University Weimar. His main research interest is computational analysis and simulation of urban systems and application of these methods in planning process. As associate investigator at Emerging Cities Lab in Addis Ababa, he positions his research in context of rapid urbanization. 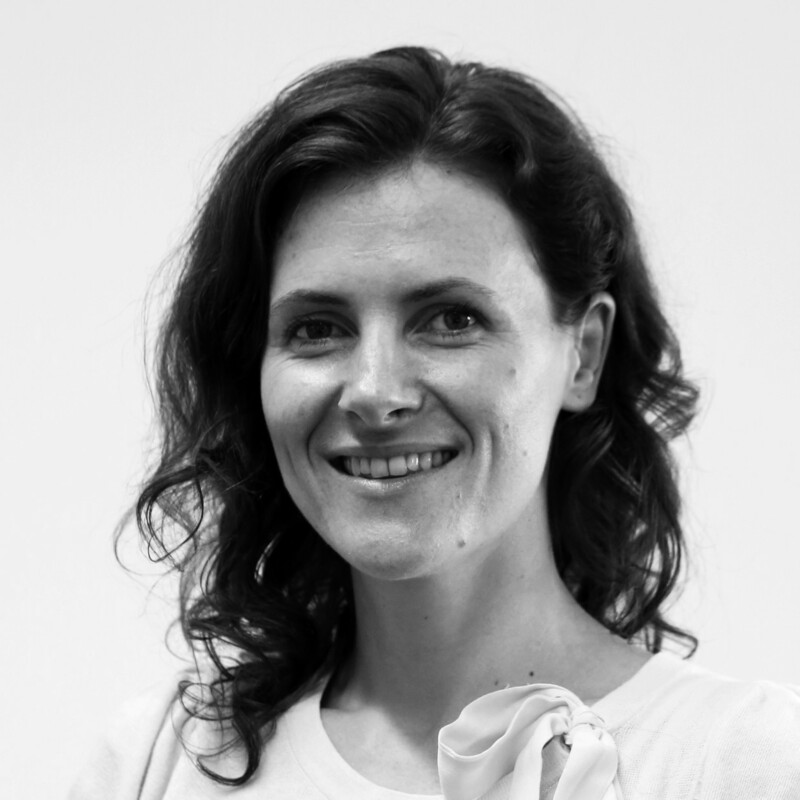 Katja is a researcher in Cognitive Design Computing with the Big Data-Informed Urban Design project at Future Cities Laboratory at the Singapore-ETH Centre. With a background in media, architecture, and computing, her research interests are interdisciplinary in nature and include interaction and user experience design, cognitive and design computing, as well as artificial intelligence techniques. In the past, her work has ranged from the development of generative and media based tools to support architectural and urban design processes to the creation of wearable devices and tangible user interfaces for mediated spatial experiences. Abdulmalik is a lecturer and research assistant at the Chair of Computer Science in Architecture at the Bauhaus-University Weimar in Germany. He graduated in architecture and urban planning in 2013 at Dessau International Architecture Graduate School (DIA), Germany. Since 2016, he has been working at the Bauhaus University Weimar. His main research interest is computational analysis and simulation of urban systems with focus on the patterns of mircoeconomic aspects of the local urban settings of the city. He is also the Project Coordinator of Discovering Cities project in Amman Jordan. Ekaterina is a lecturer and research assistant at the Chair of Computer Science in Architecture at the Bauhaus-University Weimar in Germany. She graduated in Computer Science and Media in 2017 at Bauhaus-University Weimar. Her main research interest is design and developing of computational analysis approaches in architecture with focus on spatial analysis and design space exploration systems. The workshop introduces single- and multi-objective, simulation-based (i.e., black-box) optimization algorithms in terms of their optimization strategies and performance. Using Grasshopper, we will experiment on example problems, as well as problems from your design and research practices (“Bring-Your-Own-Optimization-Problem”), with metaheuristic, direct search, and model-based methods. Together, we will gather benchmark results for these problems. The increasing prevalence of parametric design and performance simulations in computational design and research practices increases the relevance of simulation-based optimization. Simulation-based optimization not only offers a potential for automating the search for high-performing design candidates, but also a potential for better understanding design spaces, and thus design problems, in terms of quantitative performance. But a sometimes-unreflective reliance on genetic algorithms to the exclusion of other, potentially more efficient and insightful, optimization methods has limited these potentials. This workshop introduces single- and multi-objective, simulation-based (i.e., black-box) optimization algorithms in Grasshopper in terms of their optimization strategies and performance, including but not limited to the Galapagos GA. The workshop introduces optimization algorithms from three major categories: metaheuristics, direct search, and model-based methods. Metaheuristics include popular populational stochastic algorithms such as genetic algorithms and particle swarm optimization, direct search tends to be iterative and more deterministic. Model-based methods utilize (surrogate) models of a problem’s underlying fitness landscape, which they continuously update during the optimization process. In other words, model-based methods harness machine-learning related methods to hasten optimization processes. Using Grasshopper, Participants can experiment with algorithms from these categories on example problems, as well as problems from their own design and research practices (“Bring-Your-Own-Optimization-Problem”). The workshop provides methods and tools for comparing the performance of optimization algorithms on these problems. The workshop aims to gather examples of simulation-based optimization problems from architectural design and research, as well as benchmark results of different algorithms on these problems. In addition, the workshop introduces a novel, performance-informed design tool in Grasshopper that not only allows model-based optimization, but also interactively visualizes an (approximation of) the fitness landscape, which allows insights into problem characteristics, real-time feedback, and interactive, performance-informed design space exploration. Thomas Wortmann is a PhD candidate and studio instructor in SUTD’s Architecture and Sustainable Design pillar and a researcher at the Advanced Architecture Laboratory. Currently, he is preparing the defense of his PhD thesis, entitled “Efficient, Visual, and Interactive Architectural Design Optimization with Model-based Methods.” In 2013, he graduated from MIT with a Master of Science in Design and Computation, after having worked for several years as a project architect for the Dutch architectural practice of NOX/Lars Spuybroek, known for its pioneering use of digital design tools. Thomas has published several conference and journal papers and one book chapter on Architectural Design Optimization, and conducted related workshops at AAG 2016, CAADRIA 2017 and IASS 2017. This workshop will introduce the use of FlexiMold, an adaptable formwork device, for fabricating custom double-curved surfaces. The participants will have the opportunity to experience the entire workflow from the design to the production of a spatial object which has a complex form. The object will be composed of separate faces each of which will be designed and fabricated by a participant. We will provide the participants with a parametric model. They will work on this model to design a surface and to derive the information which is needed to fabricate this surface. Then, we will introduce the use of the FlexiMold and the materials to be used for the fabrication. The participants will fabricate their designs themselves by using the information derived from the parametric model. Eventually, we will assemble the surfaces and complete the object. This is a hands-on workshop which will end with a physical output. Therefore, it is only for people who like to get their hands dirty. The participants will work on computers during the first half of the first workshop day to design appropriate forms. In the second half of the first day, they will be introduced to the adaptable form-work system and learn how to use it to cast the material for fabricating their designs. In the second day, the participants will work together to fabricate their designs. We plan to exhibit the completed object during the conference. A spatial object which consists of double curved surfaces to be exhibited during the conference. Basic knowledge in parametric modelling is useful. Also, basic knowledge in building things (such as how to use the tools) is needed. Jerzy Łątka (PhD) is an architect and researcher from the Faculty of Architecture Wroclaw University of Science and Technology in Poland. He defended his PhD thesis entitled: “Paper in architecture. Research by design, engineering and prototyping” in December 2017 at TU Delft. Currently he deals with paper and other innovative materials and production technologies for contemporary architectural structures. Ir. Friso Gouwetor MSc(Arch) graduated at the TU Delft Faculty of Architecture in 2012. He has been working as an independent designer and teaching part-time in the Design Informatics chair since 2014. His main focus is parametric computational design and automated production. One of the main points that characterizes built heritage compared to contemporary constructions is the strong connection with a specific physical and cultural context. For this reason, the main idea that underlies this workshop is linked with a contextualized practical exercise (Di Mascio et al 2016). This workshop continues the paths started by two successful workshops held during the previous eCAADe (Oulu, Finland) and CAADRIA conferences (Suzhou, China). The event will be split into two days. Built heritage represents a precious material and cultural resource to be studied and preserved for present and future generations. However, despite its recognized importance, it is increasingly at risk from: conflicts, pollution, lack of maintenance and consequent abandonment. Advances in digital technologies open up alternative and new possibilities in the documentation, study, analysis, communication and dissemination of tangible and intangible features of built heritage. Lodz is a city with a rich industrial history, for this reason, the workshop will focus on its industrial heritage. The workshop will provide a variety of activities: on-site visits, demonstrations, plenary sessions, breakout discussions and practical exercises. Hence, the whole event will balance theoretical discussions and hands-on activities. This workshop aims to create a space to allow scholars to discuss, share and apply their skills and knowledge in a digital heritage experiment contextualized in Lodz. An industrial heritage site in Lodz will be selected as a case study. Participants will be asked to test and speculate on the main point: how (and which) digital technologies can support the documentation, analysis and dissemination (in particular for touristic purposes) of information of the selected industrial heritage site that has strong historical and cultural values. It is planned to involve the latest tools and technologies during the workshop. During the first day, the selected heritage site will be presented with the support of a member of the local organizing committee. An archaeological researcher will also be invited to provide further information about the rich history of the place. After the presentations, there will be an on-site visit to have a direct experience of the historical site and collect information (such as notes, sketches, pictures, videos) useful for the practical exercises. During the afternoon and the morning of the day after, there will be demonstrations of digital technologies, on-site and in the workshop venue. The demonstrations will be accompanied by short practical exercises that will engage the participants. During the second day, participants will work in groups to elaborate their speculations using their specific knowledge and approaches. During the rest of the day, participants will present their ideas and receive feedback and questions from other scholars. A final discussion led by the workshop organizers will attempt to synthesize the key points touched during the event and to identify themes and issues for future research and collaboration, and to develop concrete actions to progress future work in this area (e.g. developing networks, future workshops). The outcomes will be presented on the last day of the conference..
Everyone (students included) whose research or study area is focused on Digital Heritage is welcome to participate. A laptop to support the practical exercise with specific software installed. We will provide further information later on. Architect and PhD, is currently a Lecturer in Architecture at the University of Huddersfield, United Kingdom. He has undertaken research projects on digital technologies (laser scanner, CAAD, 3d modelers, BIM, game engines and semantic web technologies), applied in the comprehension, analysis and documentation of tangible and intangible characteristics of cultural heritage, in five different countries: Belgium, England, Italy, Scotland and United States. The researches include a wide variety of buildings from vernacular architecture to masterpieces of architecture such as the Glasgow School of Art designed by C.R. Mackintosh and the Chicago Stock Exchange designed by Louis Sullivan. He participated, as author and speaker at various international conferences in Europe (EAEA and eCAADe), Middle and Far East. During the CAADRIA Conference hold at the Chinese University of Hong Kong (2010), he received the Young CAADRIA Award for his research. Professor at the Unit for the History of Architecture, Heritage Conservation and Urban Regeneration at the Institute of Architecture and Urban Planning of the Lodz University of Technology. Former Lodz Municipal Heritage Conservator and Deputy Conservator for the Province of Lodz. Lecturer at the postgraduate studies in „Regeneration of Cities and Post-industrial structures” and “Protection of Historical Building Structures” at the Lodz University of Technology, and "Cultural Heritage Protection” at the Warsaw University of Technology. Graduate from the Lodz University of Technology (Lodz), the Prince of Wales’ Institute of Architecture (London) and the University of Strathclyde (Glasgow). Author and co-author of several projects of post-industrial re-use and urban regeneration. Author of more than 60 papers and books published in Poland and abroad, including the book on company towns in European textile industry awarded by Europa Nostra in 2013. Member of TICCIH (The International Committee on Conservation of Industrial Heritage) and the Lodz Scientific Society. Major research interests: Lodz industrial heritage, industrial heritage and identity, workers housing in textile industry, re-use of industrial buildings, industrial heritage conservation methods. Are you excited about data, mapping and analytics and want to learn new skills? Then you'll love our hands-on workshop on how to collect and blend open and premium data with the cities' everyday planning and management tasks, analyze urban environments, and deliver the results in stunning 2D and 3D web mapping apps. Smart communities are about connecting people to technology to achieve better daily outcomes. Modern communities face constant challenges. Whether it's congested roadways, homelessness, lack of jobs, underperforming schools, crime, or otherwise, the opportunity for improvement is everywhere. Smart communities find the results they seek more often through civic engagement, data-driven decision-making, and collaboration. Geographic information system (GIS) technology supports these efforts by uniting data sources, analyzing information at scale, and providing intelligence with context to help anticipate outcomes. In this hands-on workshop we will evaluate new techniques to gather data from Open and Premium Data sources, bring them in context with cities' everyday planning and management tasks. You will learn how to analyze urban environments and how to visualize the results effectively in stunning 2D and 3D web mapping apps. Excited about data, mapping and analytics and interested to learn new skills. Antje Kunze is a Solution Manager for BIM and Smart Cities at Esri Germany. She is focusing on what is needed to build smart, livable, and resilient communities and how innovative technology supports collaborative planning and decision making across scales and disciplines. Previously she was a co-founder and CEO of the ETH-Spin-off CloudCities, an online platform for publishing interactive 3D city models, and a researcher at the Chair of Information Architecture at ETH Zurich. Besides her degree in architecture Antje has a background in computer science with a strong focus on urban modeling and simulation, participatory planning and information visualization. Michael Marz is a sales engineer at Esri Germany. Previously, he was a scientific staff member at the University of Halle and conducted research in the thematic field of efficient crop production with focus on fertilization and self-learning algorithms. Edyta Wyka is a Manager of Education Department at Esri Polska, graduate of Warsaw University of Technology (Spatial Planning). She cooperates with academic institutions supporting educational and research projects with GIS. She leads ArcGIS workshops for students, academic teachers and promotes WebGIS in secondary schools. In this workshop, we will focus on artificial intelligence models and how they are used in the field of generative design. We will talk about different models and we will run one of the main streams of AI in python. The participants will learn how to generate synthetic data similar to real data. In this workshop we will focus on artificial intelligence models and how they are used in the field of generative design. Some of the influential researches will be discussed and particularly GANs will be discussed in detail. GAN stands for generative adversarial networks and it has been introduced by Ian Goodfellow in 2014. Since then other researchers have worked on GANs ad they have introduced new branches on GAN which are used in generative design. In this workshop we will work on GAN codes and the participant will learn how to use GAN for architectural generative design. The algorithm of GAN will be descried in detail and it will be coded in Python. Basically GANs are used to generate synthesized data. The models in the GANs are trained on an available dataset. In this workshop we will work on architectural plans and we will see how we could train a GAN model based on available architectural plans and finally predict the probability of space allocation on a new architectural boundary. On another experience we will work on another GAN model which the user draws the basic outline of the architectural plan and the GAN model generates the most probable plan..
On the first 4.5 hour we will discuss the models in artificial intelligence and specifically the most recent developments. Specifically, we will focus on deep learning models that relate to architectural generative design. In this session we will also focus on the architecture of deep learning algorithms and how they work. On the second 4.5 hour we will discuss GANs and on our first experience we will work on training a model based on our architectural plans dataset. Definitely the training takes a long time so I will prepare a pre trained model for the workshop but I will teach how to train the model and the participants could do this at their own free time. On this workshop we will experience how the GAN model could generate a heap map representing the probability of space allocation on a given boundary. On the third 4.5 hour we will experience interactive GAN model which could help the users design their desired plan boundary and the model generates the most possible plan. Learn the basics of parametric design in Rhino and Grasshopper with a glimpse into connecting parametric codes with ARCHICAD on this half-day workshop! The goal of the training is to showcase the basics of visual programming through a set of examples and show the participants where and how can they continue learning. Participants do not need any previous knowledge on visual programming, Rhino or Grasshopper since the workshop covers these topics from the basics. Ákos Karóczkai is a BIM Consultant and Parametric Design expert at GRAPHISOFT, the developer of ARCHICAD based in Budapest, Hungary. He graduated from the Budapest University of Technology and Economics as an architect. Working at GRAPHISOFT for almost 4 years, first as Technical Support engineer, then as BIM Consultant he took part in the GRAPHISOFT - McNeel collaboration to connect the leading BIM software solution (ARCHICAD) with the leading Parametric Design solutions (Rhino and Grasshopper). As a Parametric Design expert and BIM Consultant, he is responsible trainings, creating demo materials and spreading new technologies on conferences and expos. His passion is to test new technologies and experiment with Rhino-Grasshopper connected to ARCHICAD. Learn how to build parametric BIM models in ARCHICAD with the help of Rhino and Grasshopper on this half-day worshop! The goal of the training is to showcase how you can create parametric BIM models in ARCHICAD, directly from Grasshopper through a set of practical examples. Participants need to have a basic understanding on the functionality of Rhino and Grasshopper. Additional knowledge on ARCHICAD is welcomed but not necessary. Workshop in Revit, Dynamo using Optimization techniques focusing to solve very specific user goals. Workshop participants will learn to use Dynamo for Revit, Dynamo Studio, and the Dynamo Customizer on the web to enable architectural design and workflow automation. We will begin by developing a common understanding of the mechanics of Dynamo, then move on to build a set of scripts together that will include geometric and Revit applications. On day two, emphasis will be placed on extracting the most value from your Dynamo scripts including Industry best Practices best tips and examples for building robust scripts for sharing and adapting scripts for optimization. We will conclude with a look forward to Autodesk's Project Quantum. It is expected that participants learn and grasp the new technologies and workflow taught. They become comfortable to use the taught practices in their regular design workflow. *To get the most out of the workshop, participants should have a basic to intermediate understanding of visual scripting including Dynamo. Bring your questions and your challenges. Participants have to bring their own Laptop and have Revit 2017 or newer , and Dynamo Studio Installed prior to the Workshop. Laptop with minimum CPU I5, Ram 8GB, comfortable to run Revit 2015(min) and Dynamo Studio. Part 2: Get peek into Autodesk Future Generative Design Tools. Subhajit Das is a Ph.D. student in Computer Science at Georgia Tech, USA working at the intersection of Interactive Machine Learning, Optimizations and UI Technologies. His current research interests explore the realm of interactive systems helping non-data scientists to build machine learning models while doing exploratory data analysis. His recent works have been in the domain of building novel applications in data analytics implementing machine learning algorithms. With a diverse background in design and technology, Subhajit Das worked in the domain of computational geometry and design automation after completing MArch. in Design Computing from the University of Pennsylvania, USA. His work has been published in diverse platforms including KDD IDEA Workshop, IEEEVis, Ecaade and Acadia conferences. For any further inquiries concerning workshops please send an email directly to: ecaade2018@info.p.lodz.pl and type WORKSHOPS in the message title. The PhD Workshop was held at TUL Institute of Physics, ul.Wólczańska (Wolczanska) 219 / Floor 03 / Room 3.20. The room will be open from 10:00hrs AM. and all students should upload and test their presentations to be ready to start the presentations at 12:00hrs sharp. We invite young researchers studying in Europe who have not yet received the eCAADe grant, never presented at an eCAADe conference and will not present at eCAADe 2018 in Lodz, Poland to submit their approved PHD proposal and a motivation statement (together 1000 to 1500 words). The PhD has to be in the wide field of computational technologies in research and education for architecture and related profession. You will attend a pre-conference PHD workshop where you will present your work and discuss with experienced colleagues. The Workshop is most valuable for PhD students in the earlier stages of the work and NOT mainly intended to be a presentation of an already finished PhD. The Workshop 2018 will be held at the eCAADe conference in Lodz on Tuesday 18th September 2018. The grant consists of a subsidy of €400 to cover your travel expenses and of a special students registration to attend the conference afterwards. Note that “local students” that are resident or studying in Lodz will receive no travel subsidy. 19 submissions for the eCAADe PhD Grant! We are breaking another record! Ricky Burke - "Designing Dementia Design Environments "
Yisi Liu - "Multi-interpretation: the Use of Virtual Reality in Exploring the Cities in Literature"
Kyratsoula Tereza Papanikolaou - "Embedding water sensitive design in urban blocks through the development of an urban water model designed for architects"
Amina Rezoug - "Slummed Modern: The Link Between Architecture and its Residents"
Irina Shaklova - "Artificial ecosystems for building envelopes"
340 abstracts from 42 countries! We are amazed & you are amazing! Thank you for all abstracts submitted! We are going for a record! Thank you submitters and reviewers for your work! On-site payments will be accepted in cash only! Please be prepared! While Euro is not the official currency in Poland, please prepare exact amount of money to be paid. Thank you for your cooperation. Online registration to the 36th Annual eCAADe Conference will be open from 1st April 2018 to 15th August 2018. After 15th of August only on site registration will be possible. Early Registration will be applicable before 1st June 2018, after this date Normal Registration fee will apply. Conferences attendees will decide whether they would like hardcopy proceedings as well as the electronic one. Below registration fees cover either the electronic copy of the proceedings or both the electronic and the hardcopy proceedings- please make your selection at the registration page; all conference lunches, coffee breaks, Conference Reception, and Dinner are included in the Early and Normal registration fee. (*) The reduced fee applies to participants currently employed or enrolled at institutions of the following countries based on the GDP: Albania, Belarus, Bosnia and Herzegovina, Bulgaria, Czech Republic, Croatia, Estonia, Former Yugoslav Republic of Macedonia, Greece, Hungary, Latvia, Lithuania, Malta, Moldova, Montenegro, Poland, Portugal, Romania, Russia, Serbia, Slovakia, Slovenia, Turkey, Ukraine. (**) This fee applies to undergraduate students (BSc, MSc and similar) only (not PhD students). Registrants must provide a copy of their student ID card when registering. Please note that student registration excludes entry to the conference reception and conference dinner. The fee for any amendments is €15 per registration. Should there be any mistakes in the given registration details, the fee for correction will be €15. Cancellations will be accepted until 15th August 2018 with a refund of all paid fees, less an administration charge of €80. After 15th August 2018 no refunds will be given. Should there occur an insuperable obstacle related to a registered person’s health, the registration fee will be refunded in full, less an administration charge of €80. Cancellation must be made in writing to the eCAADe2018 Organising Committee via e-mail: ecaade2018@info.p.lodz.pl. An official and original medical certificate must be presented within two weeks of the cancellation notification. We recommend all-inclusive travel insurance. Professor Sławomir Wiak, Ph.D., D.Sc. The 36th eCAADe conference in 2018 will be hosted by the Faculty of Civil Engineering, Architecture and Environmental Engineering, Lodz University of Technology, Poland. We have prepared for you an awesome map of the TUL Institute of Physics building, where the Conference is held! With this map you won't be lost during the event (we hope so at least). Click the button below to download the map in .pdf! Click image above ^ to see some great photos of Lodz! We have prepared for you a brief collection of pieces of information regarding basic things to know when travelling to Poland and Lodz especially. You can download our Pocket Short-Guide clicking the button below! Łódź (Lodz), the former textile industry empire, today is a city of modern technologies, creative enterprises and grand events. It is a metropolis where a landscape of industrial architecture mixes with silhouettes of office buildings, production halls, culture and sports buildings. A small settlement, that in 1423 was granted civic rights, was thriving at the beginning of the 19th century. Lodz became one of the Europe`s biggest and fastest growing textile industry centre. At that time, a new identity of the city - a promised land and a city of many cultures developed. In Lodz people of different nationalities and religions shared the same dream of a success. Despite the differences they were able to build the city together. Lodz gave world many great people such as composer and pianist Arthur Rubinstein and Alexandre Tansman, a star architect Daniel Libeskind and Jacob Bronowski, a famous mathematician and historian of science. Manufaktura is an amazing showpiece of Lodz - it is the place with a rich history, which entered the 21st century with great impetus. This is an excellent example of the 19th century industrial architecture re-use with numerous shops, restaurants and an award-winning hotel. EC1 One of important buildings of the New Centre of Lodz in terms of its architectural form is the EC1 Lodz Power Plant Complex. The power plant commenced generating and transferring power in 1907. It served as the main heat and power plant for the residents of Łódź until 2000. The revitalised and expanded EC1 East complex will now fulfil cultural, artistic and social functions. The Museum of Art in Lodz is the second oldest permanent collection of Modern Art in the World. This is one of the most valuable exhibitions of this kind in Europe. The permanent exhibition is a “work in progress”, constantly subject to alterations, rearranged by invited curators and artists themselves. The Film School in Lodz is famous for its professors and students including: Zbigniew Rybczynski (Oscar 1982), Roman Polanski (Oscar 2002; Palme d’Or 2002), Krzysztof Zanussi (Golden Lion 1984), Krzysztof Kieslowski (The European Film Award 1988; Golden Lion 1993), Andrzej Wajda (Oscar 2000; Palme d’Or 1981). Central Museum of Textiles is one of the oldest cotton mills in Europe converted into a major industrial museum and the collection of textile art (Museum is the seat of the renown International Triennial of Textiles). Part of the complex is the Open-air Museum of the Lodz Wooden Architecture. The Lodz Airport is close to the city. Travel from Lodz Airport to Lodz city centre takes up to 20 minutes. Pick up your train directly at the airport! With PKP - connection with one change. With modlinbus - direct connection. Lodz is situated in the centre of Poland, accessible with A1 and A2 motorways as well as S8 express way. The new Lodz Main Railway Station is opened! Now it is possible to reach out to the every corner of the country - and abroad - from the heart of the city! There are many hotels in Lodz, however for your convenience we have prepared a list of those located in the proximity of the eCAADe 2018 Conference Venue. Some of them are within walking distance, while the others can be reached with convenient connections using public transport. You can check their location on our interactive map. For eCAADe 2018 participants we have negotiated special rates in hotels located closest to the Conference Venue. In order to book the room, please contact hotel directly (via e-mail or phone) mentioning that you are participating in the eCAADe 2018 Conference organized at Lodz University of Technology.  Please refer to the conference password 'eCAADe 2018' while booking. Hotels' preferred reservation methods in order to obtain a discounted rate are given below. Please note that the availability of rooms depends on the current level of occupancy of the hotel. Click the button below to unveil the exclusive list.